Ray Bersch, Lake Monitoring Coordinator, and members of the Lake Monitoring team, Charlie Bradbury, Pam Akers and Joanne Stinson. The Crescent Lake certified lake monitoring team began its seasonal data gathering efforts on May 31st. 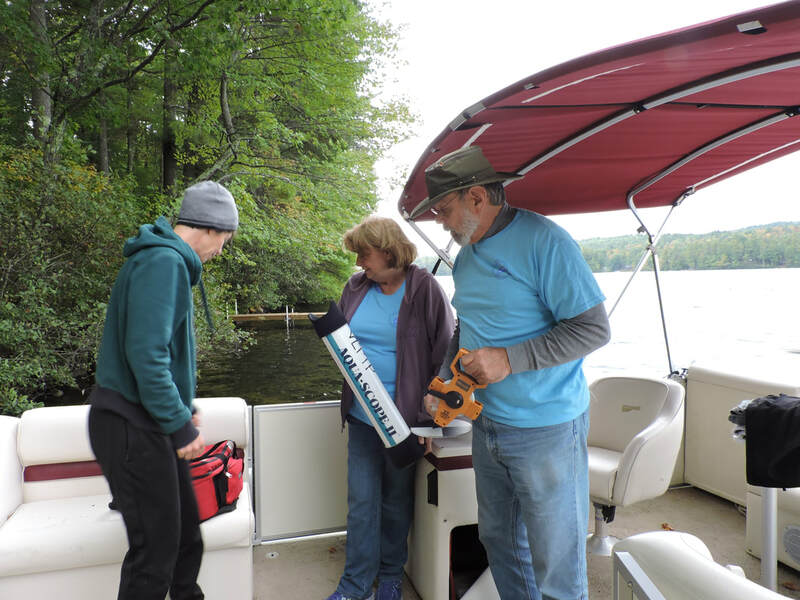 The team makes twice monthly trips to two locations on the lake to record vital lake health data to report to the Maine Lakes Volunteer Lake Monitoring Program, one of the oldest and largest such programs in the nation. Keep an eye out for the team’s pontoon boat and give it wide leeway as you transition past the anchored boat or approach carefully to ask the team questions about their work. The brave crew! Fall is windy!